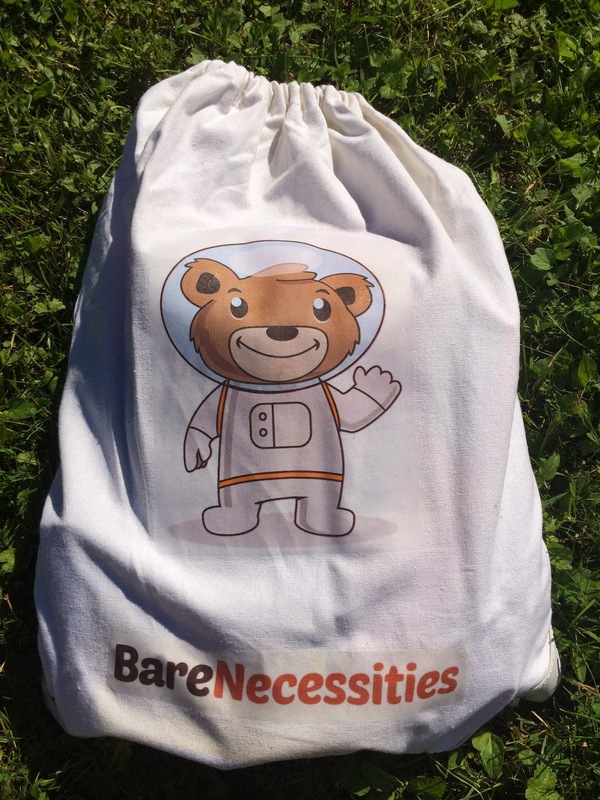 Bare Necessities is a new subscription box that sends a months supply of hygienic products. They graciously sent me a complimentary bag to review. This is great for anyone that lives in a dorm, but could also be a great gift for an elder. 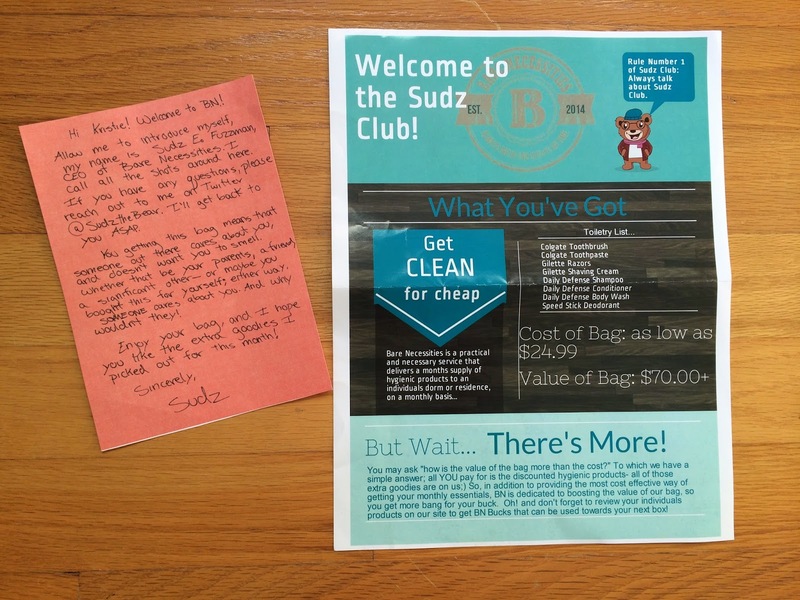 It delivers just the basics and came delivered in a drawstring bag inside a Fed Ex envelope. Everything arrived in perfect condition, with no spillage which is important with these types of products. Bare Necessities sent me the girl bag to review, but by the pictures on the website I don't think there was much variation between the two. Here is a picture of what the drawstring bag looked like it arrived in. It could be used to tote your products to the shower if you live in a dorm. Or it's a cute bag to carry anything in. It also had a cute tag with my name on it. I love the personalized touch!!! There was a handwritten note included in the bag introducing you to Bare Necessities and a sheet telling what was included in the bag. Also, you can review the products included on their website to get BN Bucks that can be used towards your next box. And here are all the necessities included. I received a Colgate Extra Clean toothbrush in firm and Colgate Triple Action toothpaste in original mint. I like the name brands and think a college student would be very happy with these. These will definitely last longer than one month. 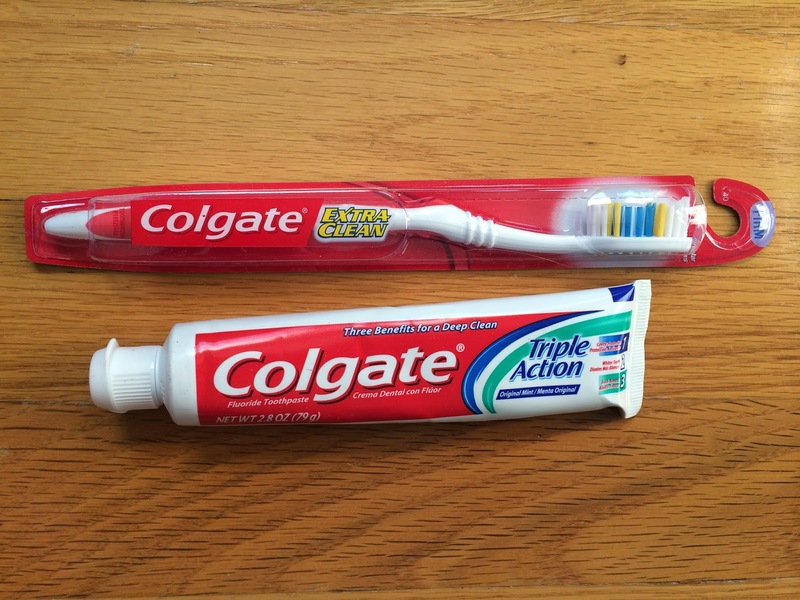 The toothpaste is a 2.8 oz tube. 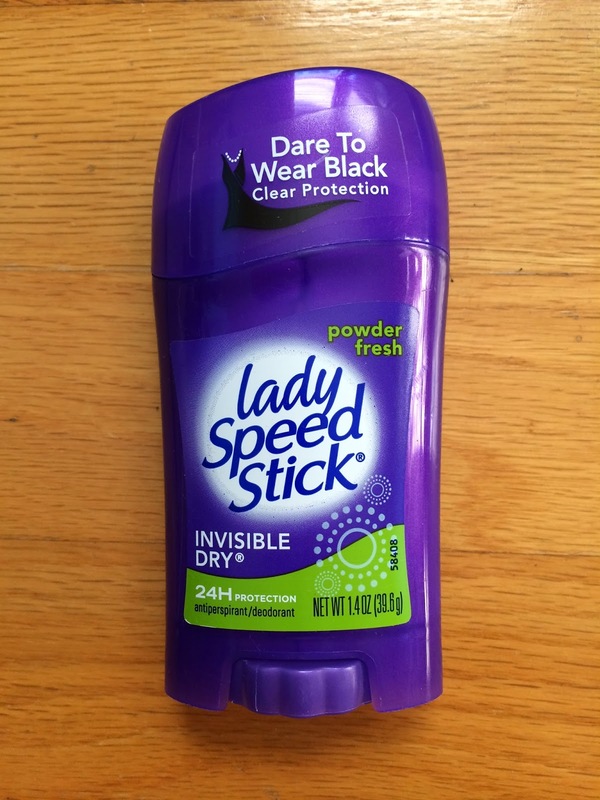 I also received Lady Speed Stick in powder fresh. This has 24 hour protection and is invisible dry. Ummmm....there is not too much I can say to describe deodorant. 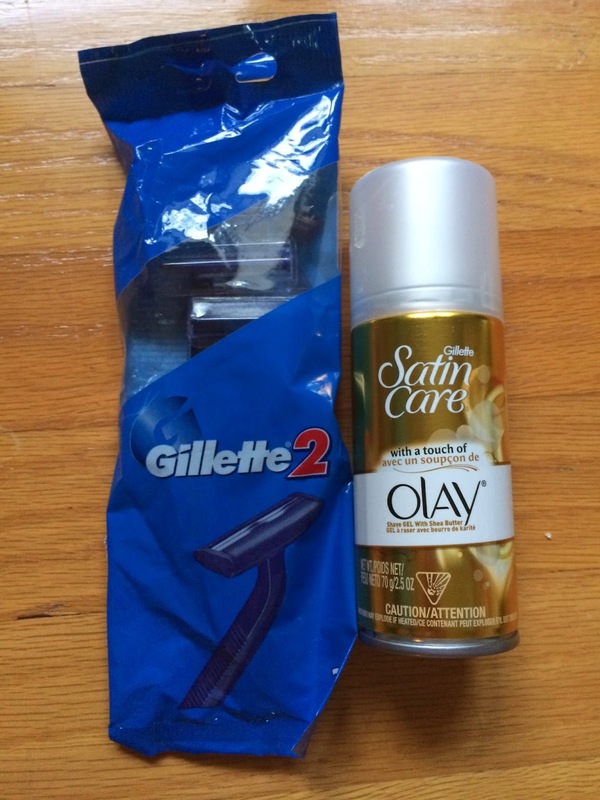 The shaving products included were Gillete 2 three pack of disposable razors and Gillete Satin Care Shave Gel with Shea Butter. 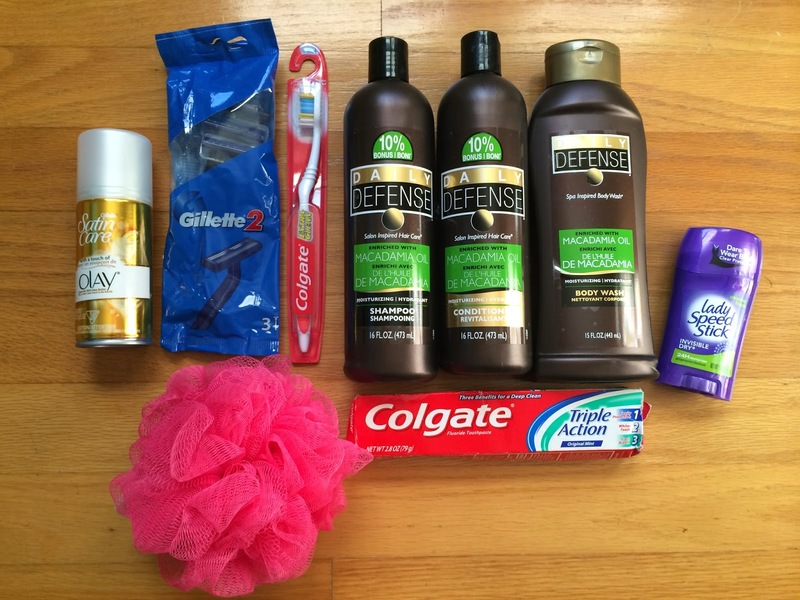 A girlier razor may be preferred by college girls, but these do the trick. I really liked the shave gel! 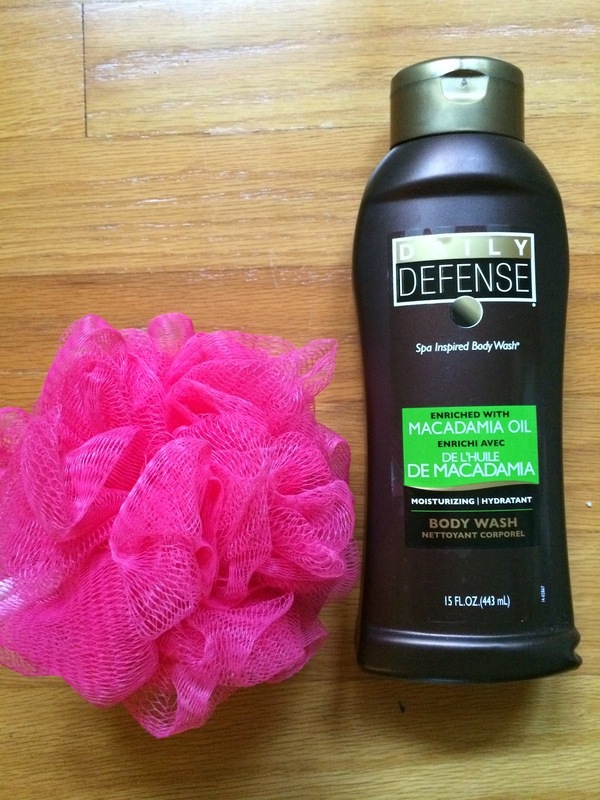 I received Daily Defense Body Wash with Macadamia Oil and a pink loofah. This smelled like summer to me and I really enjoyed the scent when I opened this package. I'm looking forward to trying this. 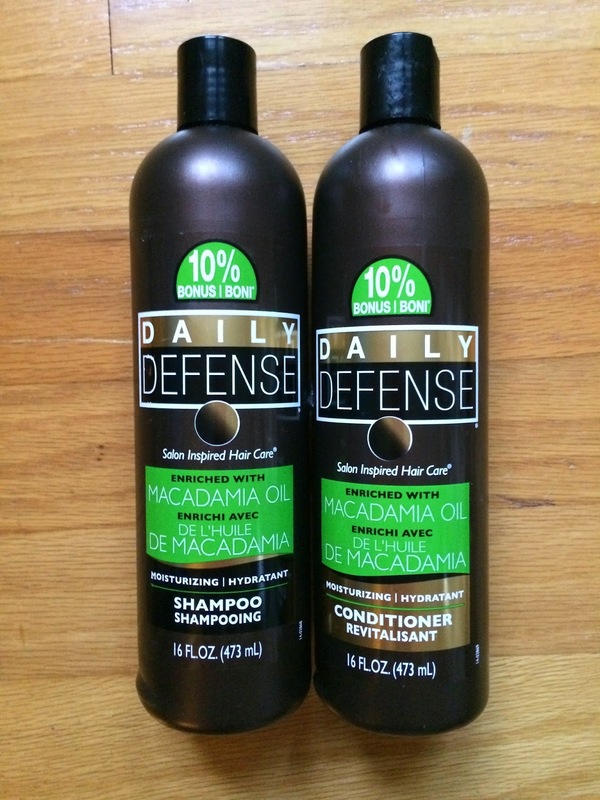 The final products included were Daily Defense Shampoo and Conditioner with Macadamia Oil. I really like that the shampoo, conditioner, and body wash are all the same scent, so they don't compete with each other. I've never used this brand, so I'm looking forward to trying it. It smells great!!! I would love this if I was a college student, because let's be honest, college students have much better things to spend their limited incomes on. I like that this subscription provides the necessities in a cute drawstring bag. It looks like there may be different styles of the bags too, as there were two shown on the website. If you're interested in subscribing to this for a lucky college student, or yourself, or anyone else you wish, or if you just want to check it out for more information, head over to the BN Bag website to check it out.